Consistent ride for Cervellin in Sweden. 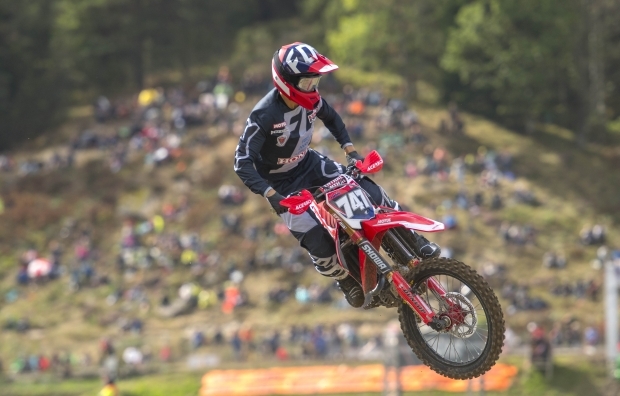 Michele Cervellin took 12th overall today in the MXGP of Sweden on his CRF250RW. The Italian had a poor start in the first race when he got boxed in the first corner. Always able to find his feet further on in the race, Cervellin pushed in the last few laps… read more. Tim Gajser made a long awaited returned to the top step of the podium today as he took the overall in Uddevalla at the MXGP of Sweden. 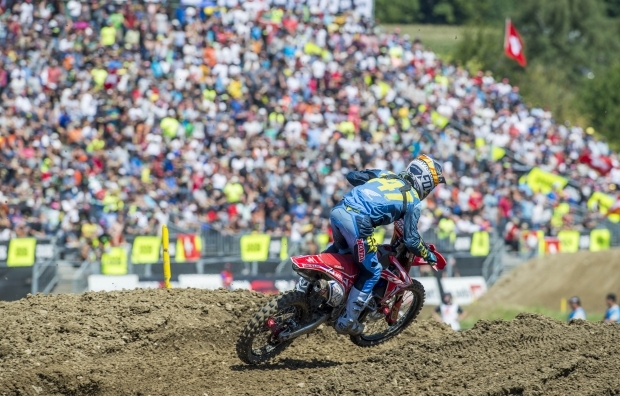 Gajser, who hasn’t taken an overall win since the Mexican GP earlier this season, took a first and second today securing him the… read more. 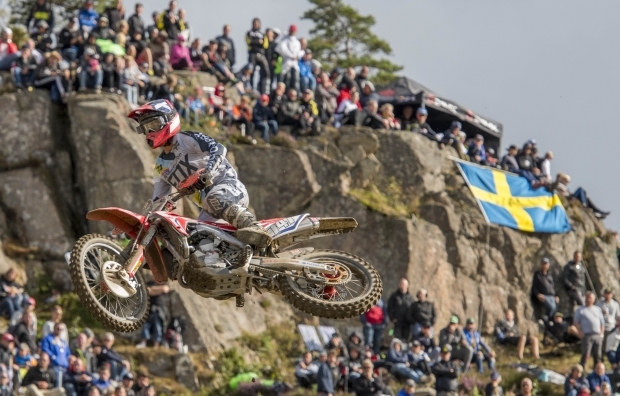 Tim Gajser took third position today on his CRF450RW in the Swedish qualifying race at Uddevalla. The changeable weather conditions had left the track a lot rougher condition than usual. A combination of heavy showers followed by warm sunshine, created rough; rutted sections and big breaking-bumps. 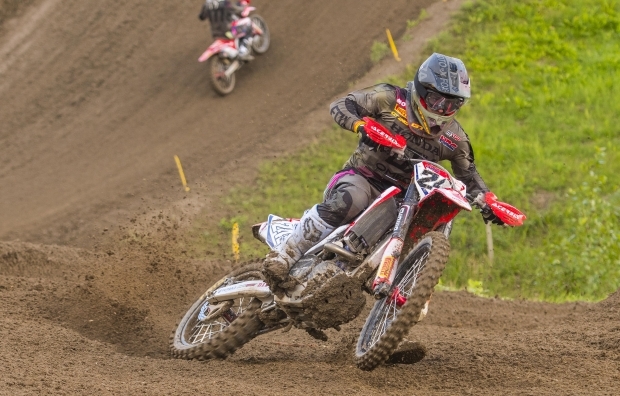 Gajser had shown he… read more. 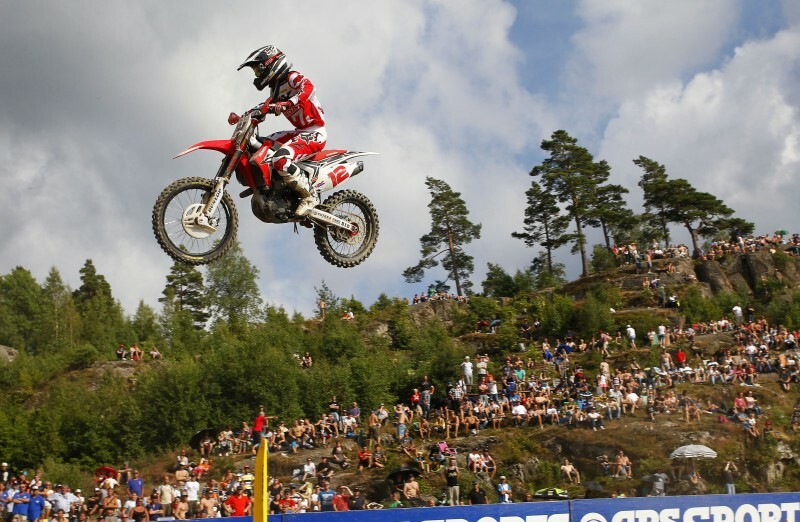 Michele Cervellin qualified 11th today on his CRF250RW in the MXGP of Sweden; Uddevalla. The Italian had impressive second half of qualifying today when he made the move from 14th position to 11th, all within the last few minutes of the race. Taiki Koga suffered a crash going into the… read more. Michele Cervellin will be joined again by Japanese guest rider; Taiki Koga this weekend as HRC MX2 head to Uddevalla Sweden for round 16. 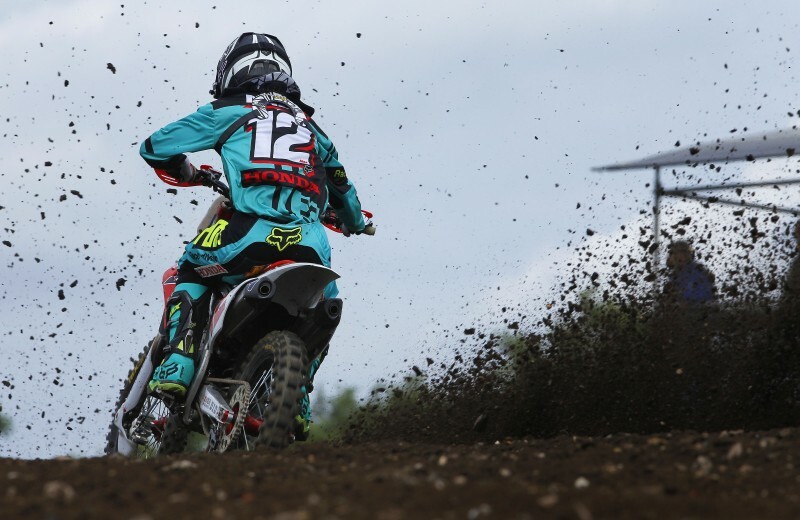 With a return to form in Switzerland last weekend, Cervellin is focused on improving his overall result in Sweden. The Italian who has been thwarted with… read more. 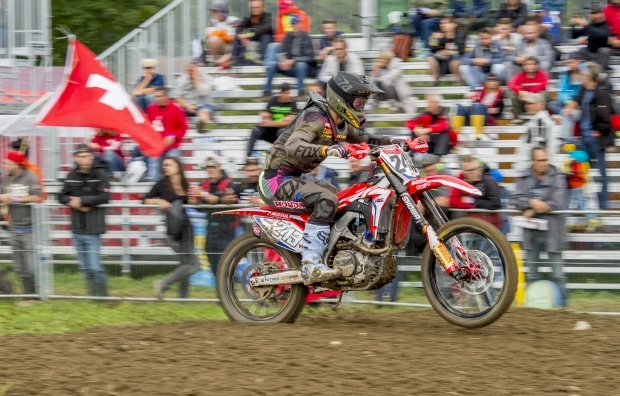 Team HRC MXGP Tim Gajser #243 and Evgeny Bobryshev #777 head to Sweden this weekend for round 16 of the FIM world motocross championship and the last race in this season’s penultimate trio of back-to-back races. 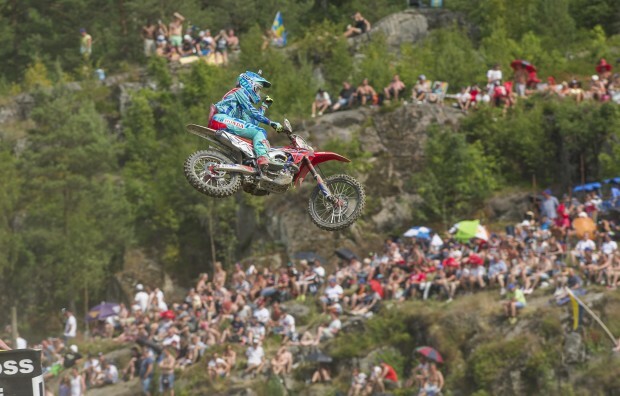 Uddevalla has made a welcome return to the MXGP calendar after the series took… read more. 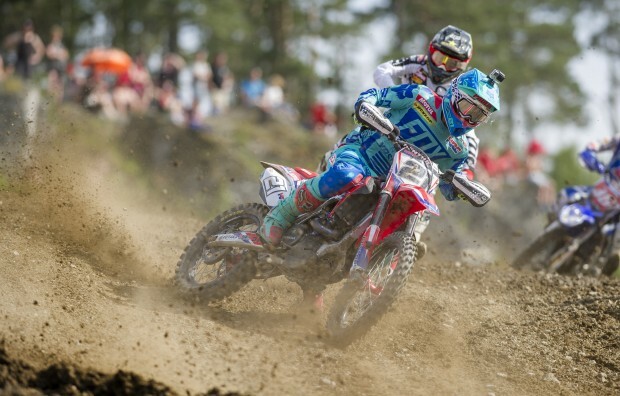 It was a tough weekend for the Team HRC pairing of Gautier Paulin and Evgeny Bobryshev at the MXGP of Sweden, who despite some strong showings finished ninth and thirteenth overall. It’s a disappointing result, made more so by the pair’s qualifying promise yesterday and after Bobby’s pace in race… read more. 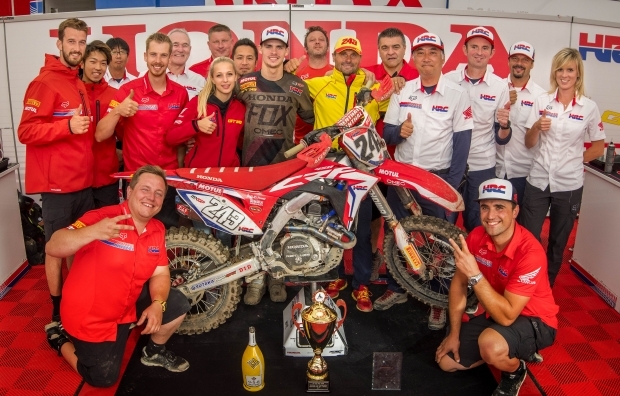 Under clear Swedish skies, the Team HRC duo of Gautier Paulin and Evgeny Bobryshev finished third and fourth respectively today aboard the Honda CRF450RW. The pair have been on the pace all day, finishing second and third in free practice, and fourth and fifth in a very close-fought Timed Practice, barely… read more. 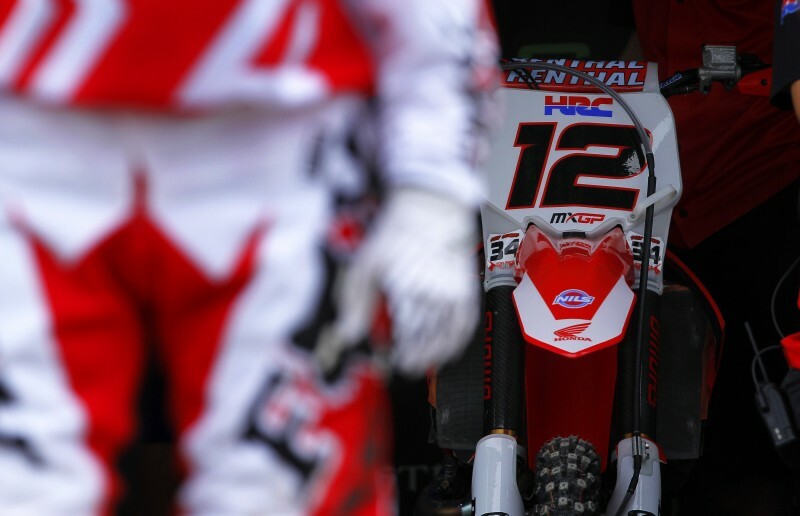 This weekend will see Team HRC head to Uddevalla, one hour north of Gothenburg, for the MXGP of Sweden. After the mixed weather conditions in Germany, Sweden should prove to be warm and dry. 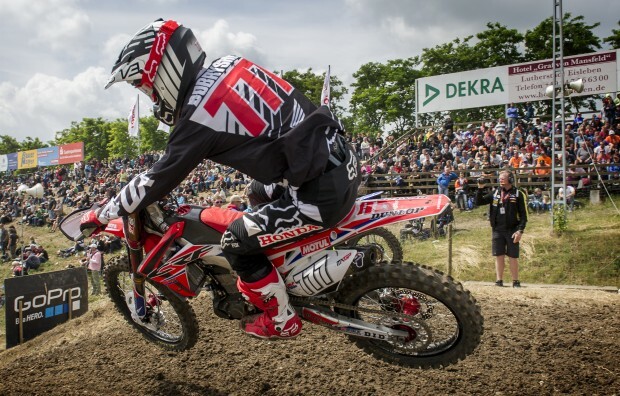 After an overall podium finish and a moto win at Teutschenthal last time out, Gautier Paulin… read more. Max Nagl delivered a strong ride coupled with a good start to take a third place finish in the second race of the MXGP of Sweden in Uddevalla today. From fourth at the first corner he fought up to third and then set about closing down the lead duo on… read more. Today was a tough day on track for the MXGP riders, not just because the track has been changed and reversed since last year so was essentially new to everyone, but because the conditions were a tricky blend of hard and soft surface and all the while very slippery. Starting… read more.